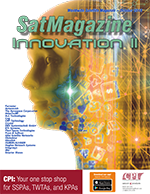 Home >> October 2018 Edition >> SATCOM CHALLENGES: Interference—Are we heading in the correct direction? 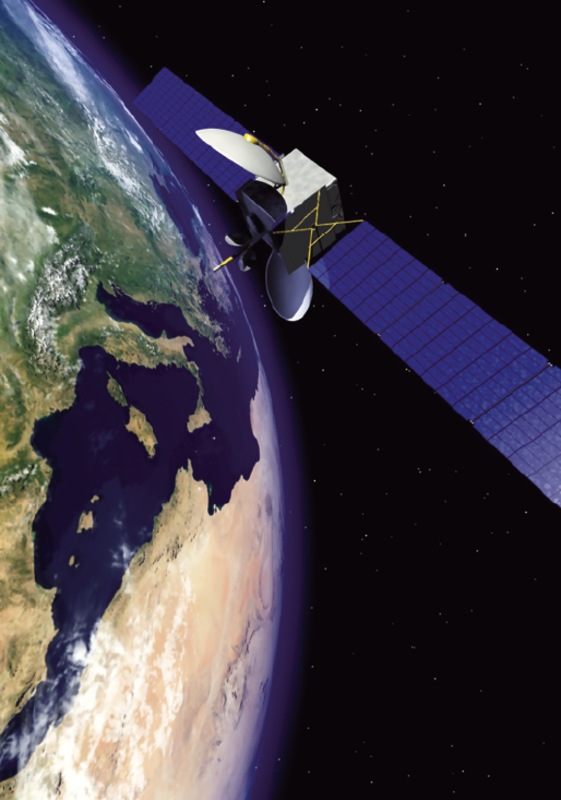 SATCOM CHALLENGES: Interference—Are we heading in the correct direction? Satellite interference is a problem that just won’t go away — it has no boundaries. Yet all around the world, applications and services rely on reliable satellite communications for essential connectivity, from the military to broadcasters. The Satellite Interference Reduction Group (IRG) has been working hard to make a truly palpable change to the way operators, users and manufacturers approach, solve and prevent interference — the organization does seem to be on the verge of successfully managing the situation. However, the industry remains affected by interference on a daily basis. On a positive note, IRG has seen a number of new technologies and solutions implemented over the last few years that are proving to be quite successful in the field right. This innovation does continue to grow; however, where does the industry currently stand in regard to interference? What future innovations does the industry need to explore to ensure that satellite remains valid? Carrier ID — Has It Reached Its Potential? IRG was heavily involved in the development of Carrier ID (CID), an embedded signal found in the data transmission path which enables operators to identify the source of an interfering carrier. IRG successfully lobbied manufacturers to install Carrier ID (CID) within all new equipment as standard and that was great progress. Sadly, equipment is still shipped with CID switched off, with many users oblivious to the need to switch it on. Of course, these are still the early days when it comes to investing in CID. Naturally, it’s not viable to simply ditch expensive equipment which works well that may not have CID, particularly for those who operate in a sector which experiences relatively little interference. CID will become more commonplace over the coming years, as meeting the challenges of IoT, HTS and LEO, for example, requires that aging equipment be replaced. It has been a long road to get where we are now. There seems to be balance in that interference is manageable, with operators saying that downtime caused by interference is reduced, but not totally resolved, on the whole. At the time same, the industry is changing, along with the sectors which rely on satellite services. IP and the use of Very Small Aperture Terminals (VSATs) in broadcasting, for example, has massively changed the landscape for keeping spectrum clean. If the future of the space environment is considered, it looks worrying. LEO constellations, smallsats, 5G, the demand for constant connectivity — all of this has the potential and, no doubt, will cause more interference, but also significantly changes the way the satellite industry operates. LEO and smallsats also represent opportunities to boost the relevancy of satellite, but we can’t ignore the fact that more satellites in space means more congestion and, therefore, the increased likelihood of disruption. In the military sector, any disruption in a service can mean the difference between life and death, success or failure, of critical missions. In the broadcast space, competition from terrestrial infrastructure means that a high quality and reliable broadcast signal is absolutely essential if satellite for broadcast is to remain valid. In short, many of the services that rely on satellite are pretty much essential to the everyday lives of humans across the world. 2. Make satellite more profitable for businesses. The questions that needs to be asked is how can innovation will be able to succeed in a congested future, and how should companies work together to bring about new processes to safeguard the space environment for all. The new initiative of Space Traffic Management (STM) currently supported by the U.S. and Europe will hopefully have a huge impact here. IRG and Intel-Sec’s conducted a joint event in Asia, where I moderated a session on the potential for Artificial Intelligence (AI) and machine learning to assist in managing, automating, reducing errors and improving efficiencies within satellite operations. Currently, AI technology is relatively unexplored in our sector, which seems strange given the innovative nature of satellite. When we consider what the technology has enabled in other industries, it is likely that AI could help us achieve our goals in several ways. First, it’s a sad fact that many experienced satellite engineers are simply getting older and retiring. Add to that over the years, not enough young people have been to our industry. There is change afoot. A slow start, but young people are starting to be seen entering the SATCOM workforce. They naturally bring innovation, those new ways of thinking to the table. AI is a major key for the industry to use to connect and appeal to these younger professionals, managed through the industry’s own innovativeness and by working more closely with universities and schools. Consider this — right now, AI could help the industry plug the gap that will be left behind by those knowledgeable satellite professionals who are leaving and help the transition to a new era of STM. Secondly, AI has the potential to act as a framework for developing better methods of preventing interference in the first place. AI can automate tasks, analyze data for patterns to predict incidences as well as monitor and fix minor issues. This can be done on a continuous basis, before such problems become noticeable to an operator or result in service degradation. The best thing about the AI-machine learning process is that it learns from the data it is given and the more it is ‘fed,’ the processes are further empowered. The industry appears to be at somewhat of a crossroads currently. Interference and the changes in the use of space that are upon us means that interference management is an absolutely necessity and the satellite industry must innovate rapidly to stay relevant. They key to these aims is to collaborate on ways of maximizing the efficiency of satellite, and therefore increase demand for satellite services, all the while continuing to build solutions to help the industry prevent interference as more and more satellite constellations are launched. Martin Coleman is the Executive Director of the Satellite Interference Reduction Group (IRG). He is responsible for spearheading a number of significant initiatives and is committed to introducing new technology and processes to mitigate all types of satellite interference: VSAT TDMA Systems, BIG Data; a reference guide to Interference; sorting out those Difficult Cases including new standards and processes within the Geolocation industry; assisting the ITU in dealing with Harmful Interference; and implementing Carrier ID (CID). Martin regularly addresses the industry on the subject of satellite interference, at global industry events, on an individual basis, and at IRG-led conferences and webinars.